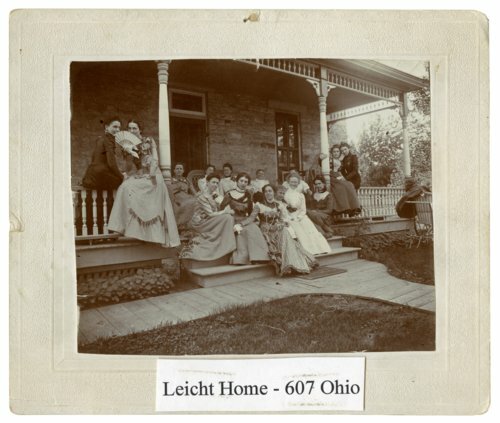 Photograph of several women gathered on the porch of the H. G. Licht home, located at 607 Ohio Street in Alma, Kansas. Licht served four terms as Clerk of the District Court, as well as a term as County Clerk. Licht sold the house to the Meseke family, who sold it to the Koepsel family, who then sold the house to La Mar-Hasenbank Funeral Home which operated in the house for several years.